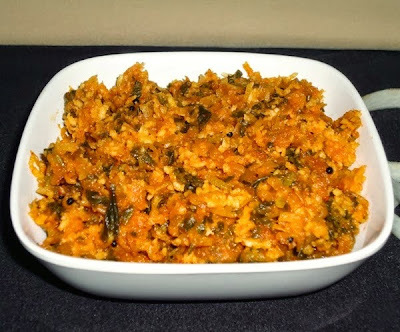 Mulangi sukke recipe - The mulangi palya is a Southern Coastal Karnataka style radish subzi prepared using radish and coconut as basic ingredients. I often see some people throw green leaves of radish and carry only radish root with them. No need to say here about the nutritional value of radish leaves because we all know the numerous health benefits of radish and its green leaves which are rich in vitamins and fiber. 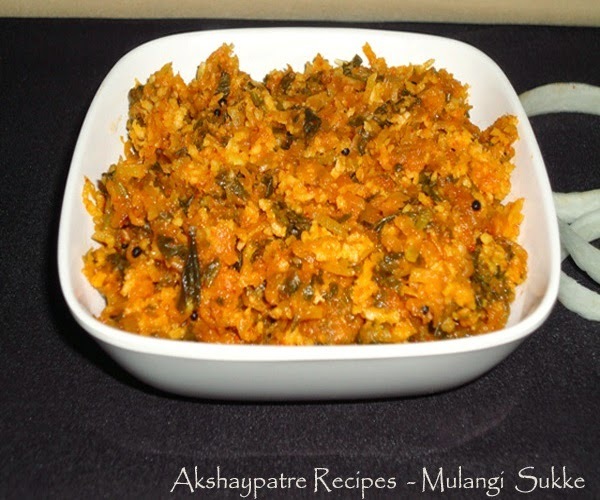 The green leaves can be used along with the roots for preparing mulangi palya or radish subzi. They are low in calories and have more water content. The green leaves are very good in reducing weight. 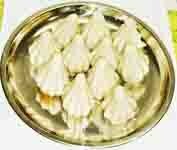 It has great effect on digestive system. So, whenever you buy radish, bring it along with leaves and use them in any form in your diet frequently. Some people and kids do not like radish for its strong pungent odour. But the Stir fry made in this method is really odourless, tasty and I am sure you may love it and if try it once, you may try it for second time also. Separate the tender leaves and sprinkle fistful of salt over it. Then pat the leaves gently for 8-10 times. After that, wash them under running water for 3-4 times. Then Chop the leaves. Wash and peel the radish. Grate or chop them and mix with the chopped leaves. Heat oil in a pan and add the mustard seeds to it. When they splutter add grated radish and chopped leaves. Add the chili powder, turmeric powder, jaggery, salt and a cup of water. Cook covered on low flame till the radish and the leaves become soft. When it is done, add the grated fresh coconut and mix well. Keep it on low flame for 1-2 minutes. Remove and serve hot as side dish. Mulangi sukke goes well with steamed rice and curry or chapathis. 1. Heat oil in a pan and add the mustard seeds to it. When they splutter add grated radish and chopped leaves. Add the chili powder, turmeric powder, jaggery, salt and a cup of water. Mix well. 2. Cook covered on low flame till the radish and the leaves become soft. 3. When it is done, add the grated fresh coconut and mix well. Keep it on low flame for 1-2 minutes. 4. Remove and serve hot as side dish. Mulangi sukke goes well with steamed rice and curry or chapatis. Delicious and healthy palya, goes awesome with both rice and rotis. I use the fresh radish leaves, either in dal or with curry like this! Nice dish!